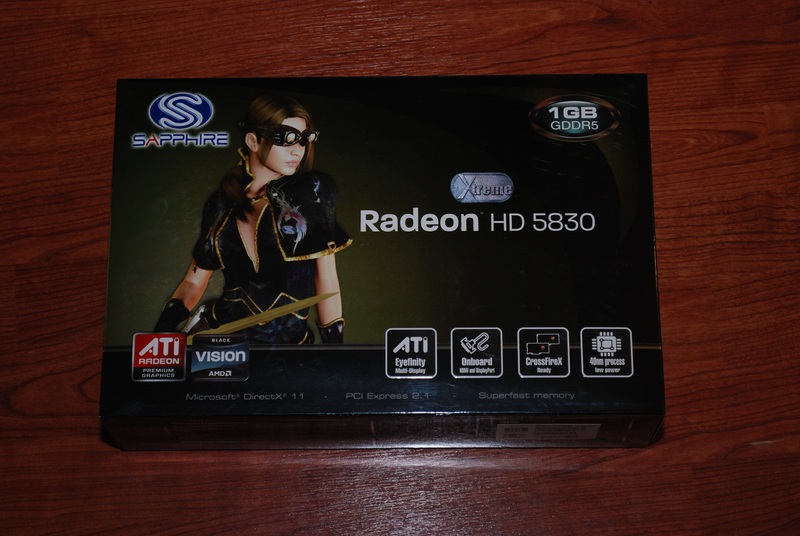 Hailed as the most exciting development in graphics for several generations, the original SAPPHIRE HD 5800 series not only included the fastest single GPU available, but was also the first family of video cards in the world to support the advanced graphical features of Microsoft DirectX 11 and multi-monitor displays in Eyefinity mode. 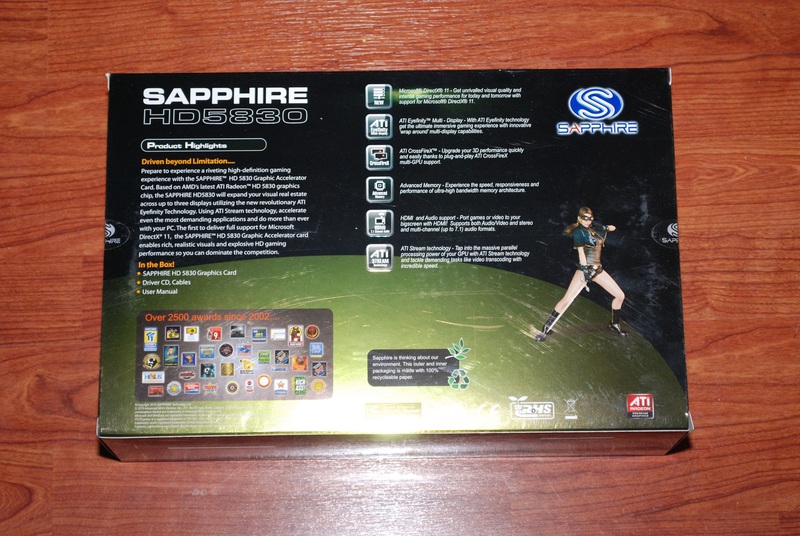 Now it’s back – with the exciting new SAPPHIRE HD 5800 series Xtreme Editions! Today we are checking out Sapphire’s release of the 5830 Xtreme which promises more performance for less cash and the ability to squeeze out even more. The box is bold and one of the few worth actually looking at as its filled with useful information and statistics on the 5830 hidden inside. The 5830 fills in the low end of the 58XX series GPU’s but don’t be fooled by its low number the 5830 packs more than enough punch for many gamers and enthusiasts as we will shortly explain. Many consumers still don’t have the financial freedom to lay out $300+ of their hard earned cash on a high end video card, nor do they really need the power that a 69xx series card brings to the table. Some consumers simply don’t have the need for high end 3D and are content with video playback and minor 3D capabilities. 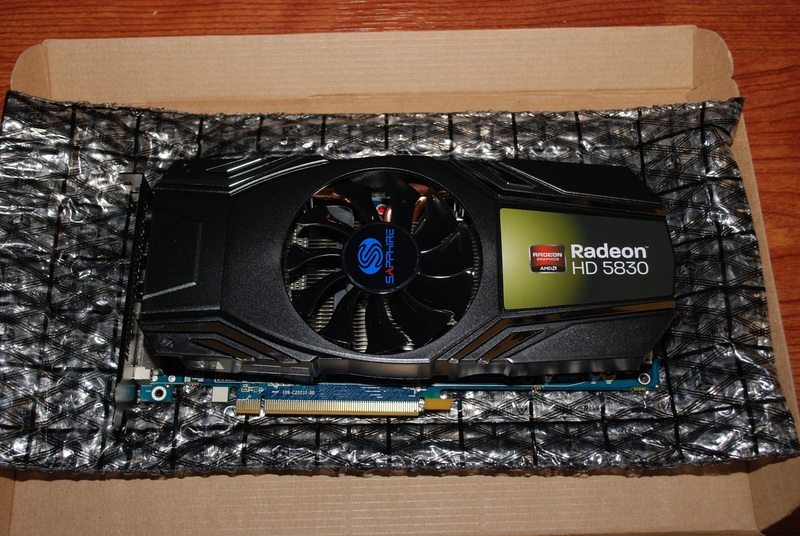 In either case this is still a 58XX series card with some excellent features, a high end brand name, and a low price. Sounds like a good combination, so will it handle your needs? Lets find out.